Join us for a fantastic day full of lovely local goodies, local businesses and Easter fun! OFFICIAL OPENING: Our official opening will be at 10am in The Forum, Norwich. 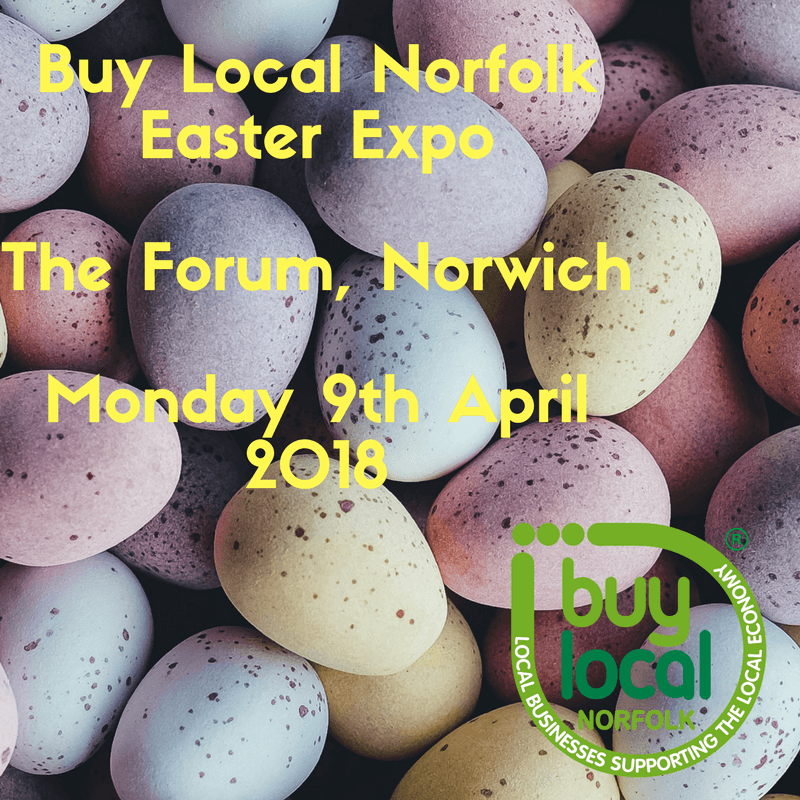 All exhibitors are Buy Local Norfolk members, who are all truly local to Norfolk, a great opportunity to see what Norfolk has to offer. Take a look at all the fabulous businesses who will be exhibiting on the day. If you would like to join us as an exhibitor, please click here for more details.